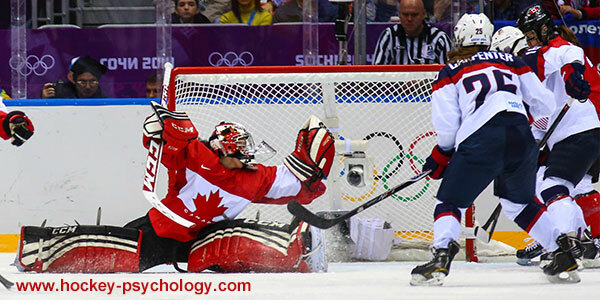 You are here: Home / Hockey Psychology Articles / Do You Ride The Confidence Roller Coaster in Hockey? 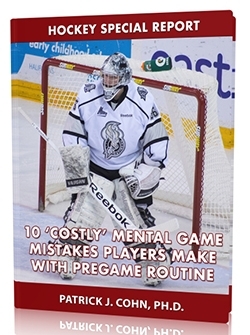 Achieving your personal goals in hockey requires more than talent, size and speed. Success in hockey is dependent on self-confidence, one of the most critical mental skills that contribute to success of any athlete. Self-confidence is how strongly you believe in your ability to execute a skill, perform a task or play at a certain level and, without it, you are doomed to under-perform. For many hockey players, self-confidence is not stable. One game, their self-confidence will be high and, the next game, their self-confidence will be low. Confidence can even change from shift to shift. True confidence, based on years of practice and play, doesn’t change from shift to shift. If you want difference-making confidence, you will need to focus on developing stable and unwavering confidence, one that is sustained no matter what has happened on the ice. By focusing on past successes, personal strengths, positive mental skills, solid week of practice, level of preparation and positive emotions, your self-confidence will stay stable for games. Another method to ensure stable confidence is to understand mistakes will happen and that it is necessary to keep those mistakes in the past. The Edmonton Oilers have been a team searching for confidence the entire season. The Oilers’ play and confidence have been up and down all year. At one point, Edmonton was 3-11-0 after a win this season. The Oilers’ inconsistent play is evidence of a team lacking confidence. With a 20-23-3 record in 46 games, the Oilers know confidence will be the key if they are to earn a wildcard and land in the playoffs. After consecutive victories, Oiler center Leon Draisaitl sees confidence as a matter of focus, that is, focusing on past successes and focusing on playing their style game after game. Oilers coach Todd McLellan talked about the challenges to confidence and that confidence is a work in progress that requires attention and focus in order to keep it at a high level. You earn confidence by working on it daily rather than leaving it up chance. Imagine how much better your game would be with high, stable confidence. 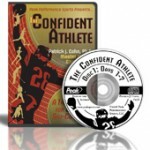 Confidence is based on years of practice and play, not the last shift or game performance. Focus on your abilities and talents that are enduring and don’t go away after one mistake, such as your fitness level or stick handing ability.